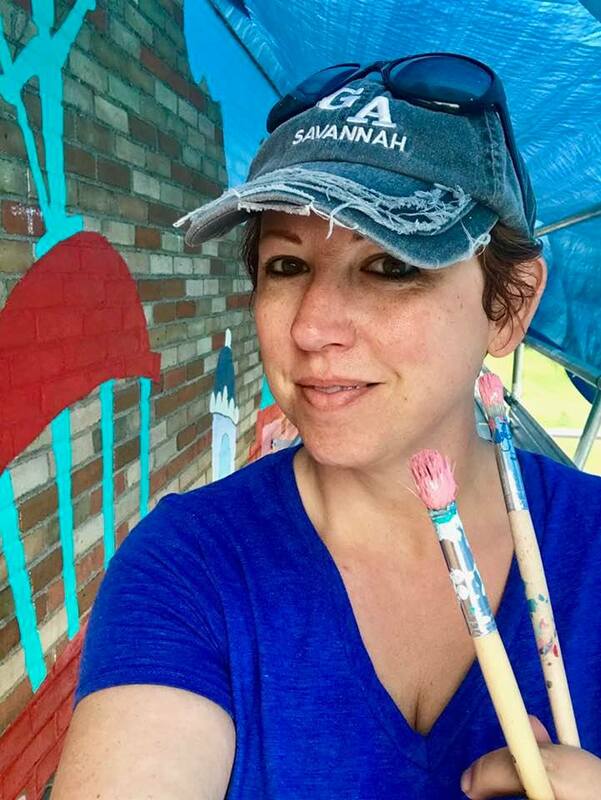 OHHS Art and Design teacher Jamie Schorsch has been hard at work this sweltering summer creating a large scale mural for the Miami University Regionals Hamilton Campus. 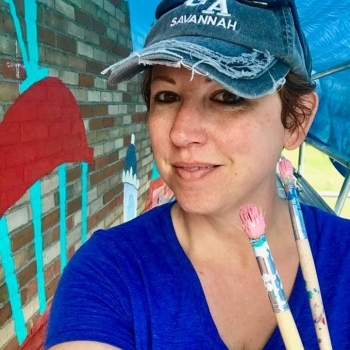 Schorsch is a part of a team of three other local artists: John McCoy, Abby Martin and Stephen Smith working with StreetSpark on the creation of the mural. 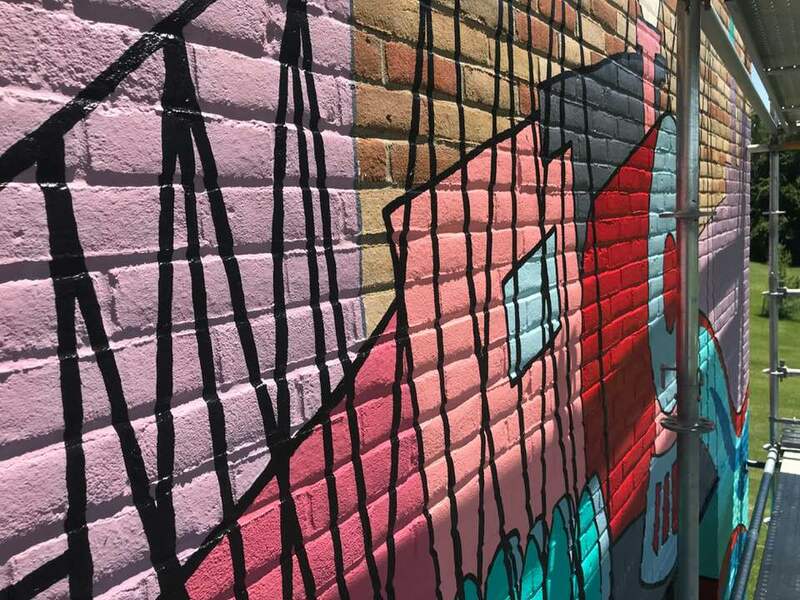 Formed through a partnership between the City of Hamilton and the Fitton Center for Creative Arts, StreetSpark is a program founded to further the art identity in the city through exciting public art projects. 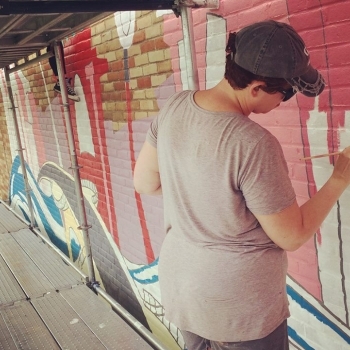 This program creates arts engagement by producing high-quality murals, building opportunities for local artists, and enhancing the visual appeal of the city. 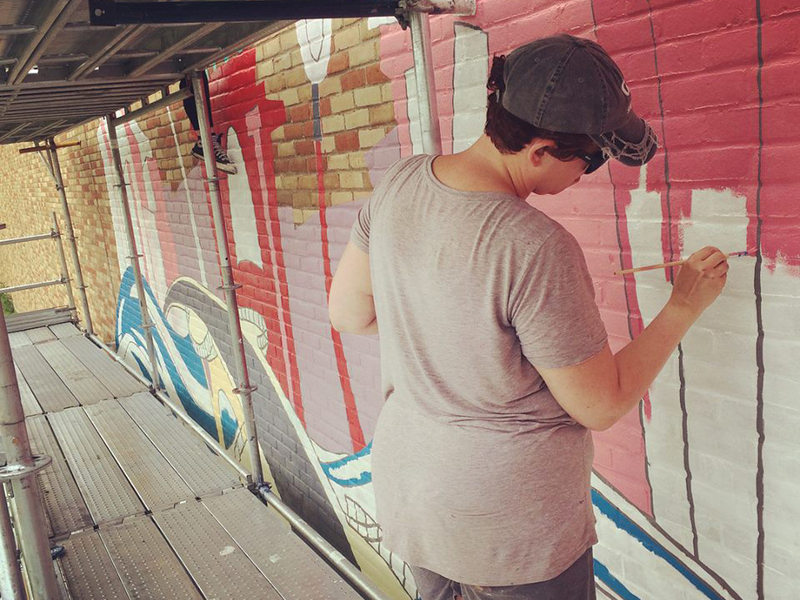 StreetSpark brings visible murals and artwork into the community with the goal of fueling Hamilton with art. 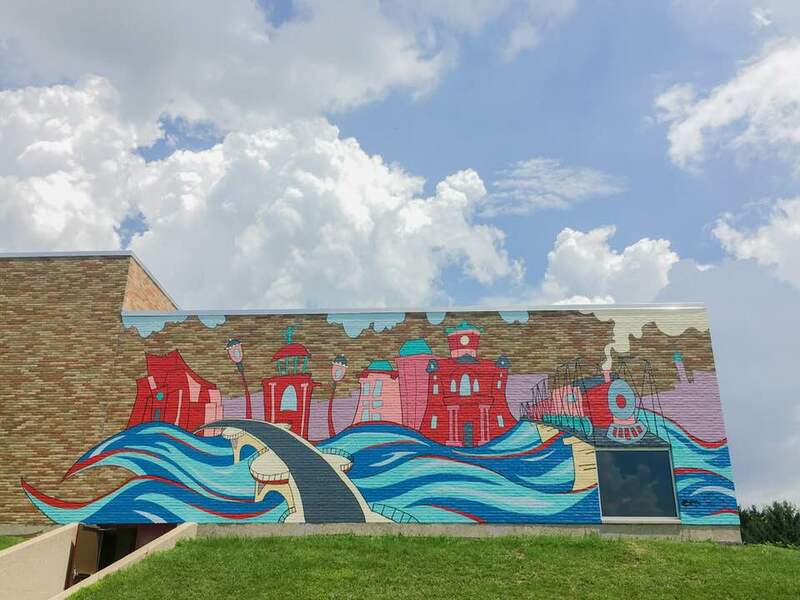 Stephen Smith designed the mural selected for the Miami University Regionals Hamilton campus as a part of their 50th-anniversary celebration. 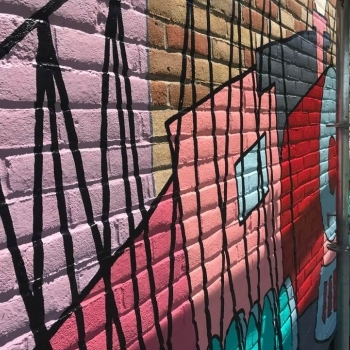 Stephen finds inspiration for his whimsical paintings in Hamilton’s historic architecture which has largely impacted the design of "Paint the Town Red."